We are delighted to announce the launch of Dow Schofield Watts Wealth Advisory LLP, which offers independent wealth planning advice to individuals. The new business will form part of the Dow Schofield Watts group of professional services businesses. 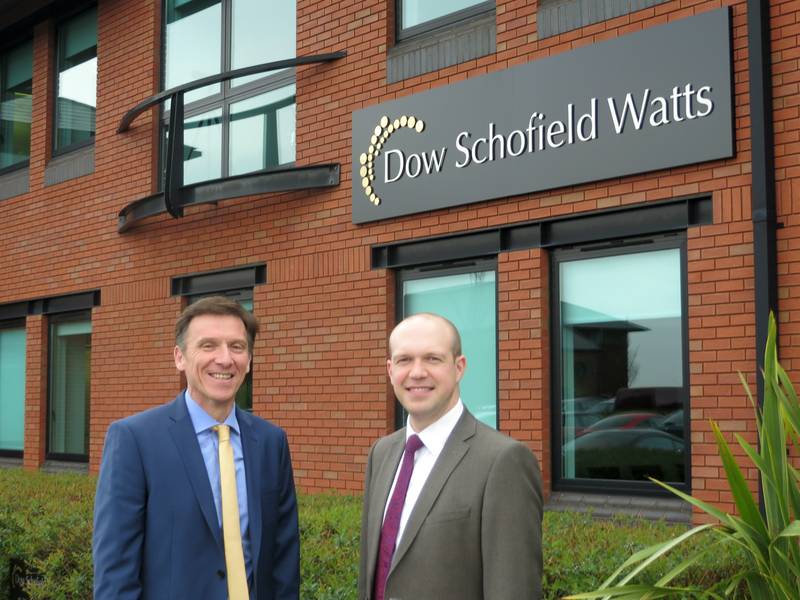 Dow Schofield Watts, with offices in Daresbury and Leeds, is a specialist adviser to owner managed business and high net worth investors. Richard Speight joins as a partner, having previously worked at Grant Thornton UK LLP. He is both a Chartered and Certified Financial Planner with extensive experience in advising owner managers and entrepreneurs. James Dow, co-founder of Dow Schofield Watts said “I am delighted to welcome Richard to Dow Schofield Watts, I have been very impressed with Richard’s enthusiasm from our very first meeting. Richard is bringing a skill-set which is entirely complementary to our activities as we continue to develop our offer as adviser of first-choice to owner managers, entrepreneurs and high net worth investors“. The Wealth Advisory business focusses on developing personal financial strategies to secure an individual’s financial future and preserve their wealth. The role includes coordinating and project managing the work of other experts and professionals including: lawyers, tax advisers and investment managers.